Ionix Pen tester monitors provide the user with accurate readings in a high quality package that is well built and reliable. With a value range and a premium range the user has choices for the features they would like in a pen tester but still in an economical package. 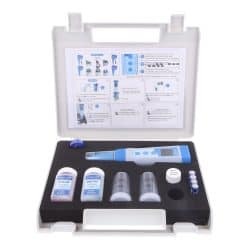 All Ionix Pen testers come in their own carry case with calibration solutions. Basic, simple-to-use, and durable testers for pH, conductivity, TDS, and salinity. Advanced innovation, and packed with unique features to simplify your work. 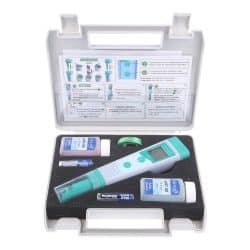 Features include backlight, auto-detection of calibration buffers and easy to change electrodes (including Spear and Flat sensors)..